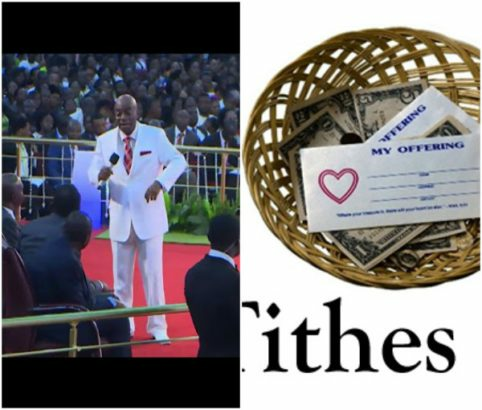 Speaking on ‘importance of Tithing’ at Living Faith Church’s end of the year programme, Shiloh 2017, the church’s General Overseer, David Oyedepo, reacted to the tithe controversy spearheaded by Cool FM OAP, Daddy Freeze. Bible was written by inspiration and by the same inspiration you will understand it. But can the pastor take us to this version in the Bible, and teach us to understand. Hebrews 7:8-10 and at the same time make us to know what the next verse says Hebrews 7:11.